-B.A. Law & political Science. Faculty of Law &Political Science, with honor ,first in a class of over two hundred, Tehran University,. 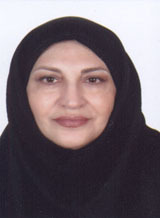 Deputy President, Qeshm Free Zone, Economics & Banking Affairs. Member of Foreign Credit Commission in CBI. Member of Foreign Exchange Committee in CBI. Organizing and participating in Seminars held in CBI., Commercial Banks and Iranian National Committee. Participating in ICC Banking Commission meetings in various countries, since twelve years ago.